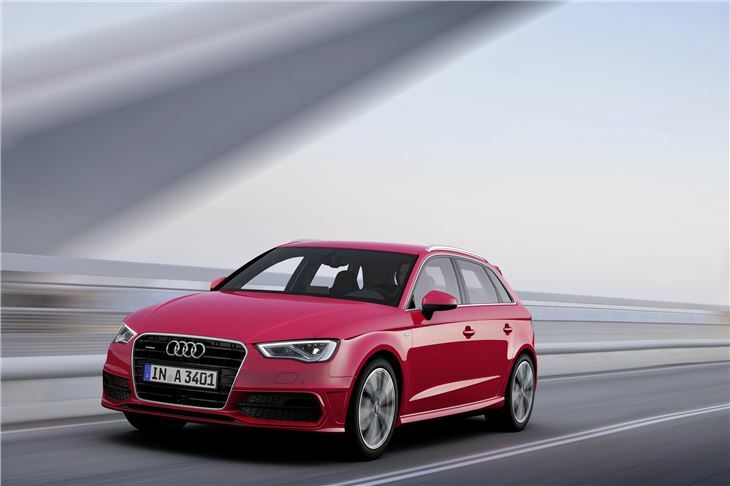 The gap between when Audi launches the three and five-door versions of its A3 is shorter again. 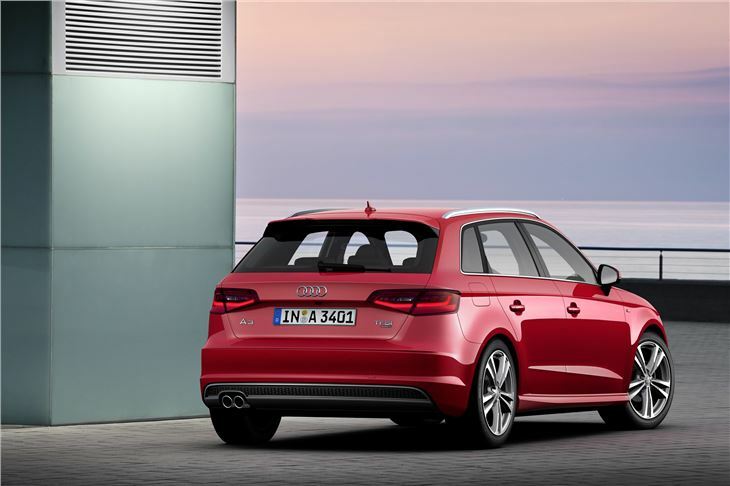 Back in 1996 when the original A3 was launched, buyers had to wait a further three years before a five-door was offered. By the time the second-generation A3 was launched in 2005, the time had been brought down to a year. 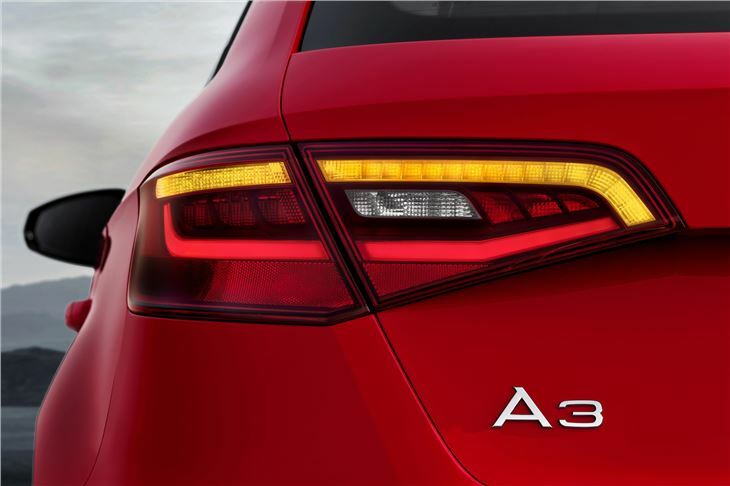 And now, for the latest A3, it's just a few months. 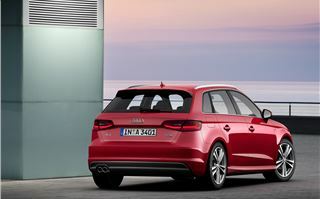 Of course, since 2004 the five-door variant has been known as 'Sportback', as five-door is just a bit to plain for Audi. You've probably got the idea now when it comes to Sportback. 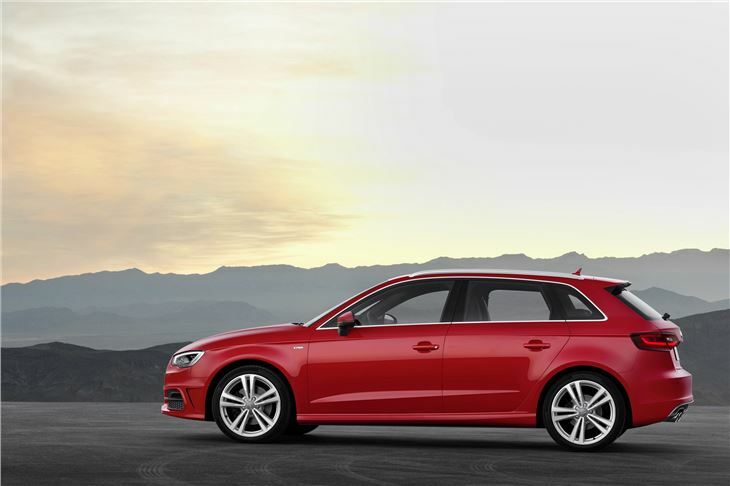 It's Audi shorthand for its roomier and more practical models. 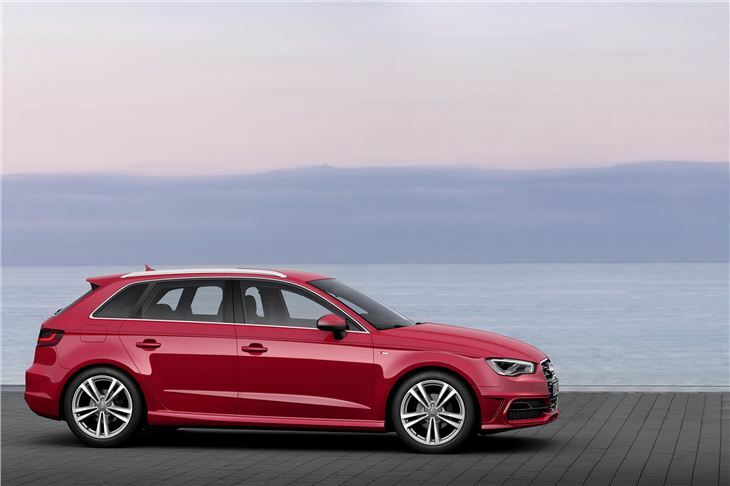 Yes, there's an element of marketing schtick there, but the name Sportback does reflect that this A3 has a different bodyshell to the three-door - Audi hasn't simply grafted on a couple of extra doors. 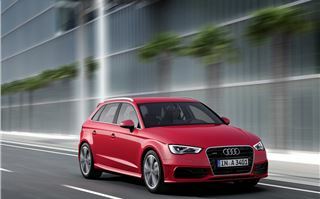 Like the three-door, the A3 Sportback won't cause many shocks with its styling, but it does look smart and modern. It's something that you'd probably be pleased to be seen in. The design is simple and uncluttered so although some will call the design clean, others boring - it just comes down to personal preference. 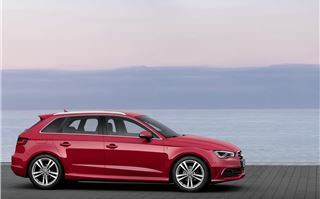 Unlike before there is a clearer distinction between the three-door and Sportback bodyshapes and from some angles the Sportback does have an almost estate-like appearance to it. 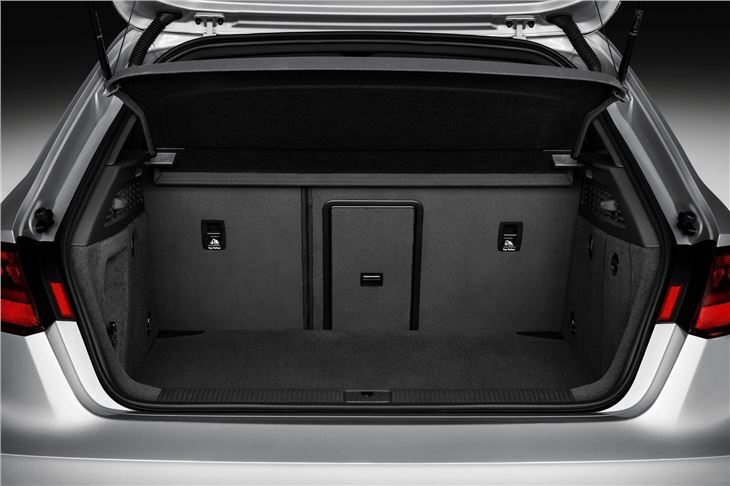 With the A3 Sportback, it's all about the rear space, so it's just as well that there's more boot room - 10 litres more in fact - with 380 litres with the rear seats up and 1220 with the rear seats down. 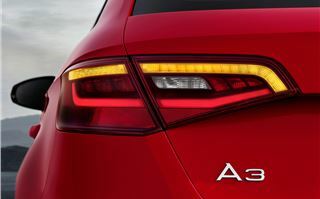 Audi has been able to do that because the wheelbase has increased over the three-door by 35mm. 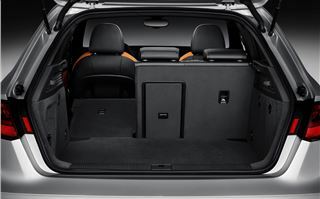 Other nods to practicality include 40/60 split-folding rear seats and a boot floor that can be set on two levels. The supports on which it rests contains small LEDs, helping you to locate them. 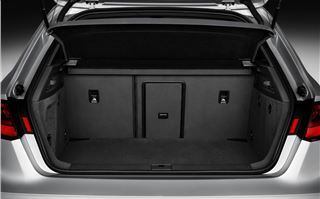 The load area itself is flat and easy to access, there's a gap of a metre between the two wheel wells and all A3 Sportbacks have bag hooks and tie-down rings. 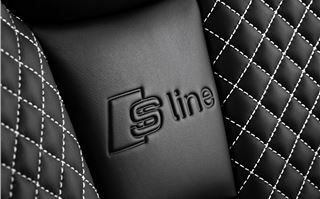 It can also be specified with a reversible mat and a through-load option for longer items like skis. After that, it's A3 business as usual, staarting with the interior, which is a copy-and-paste of the three-door's. 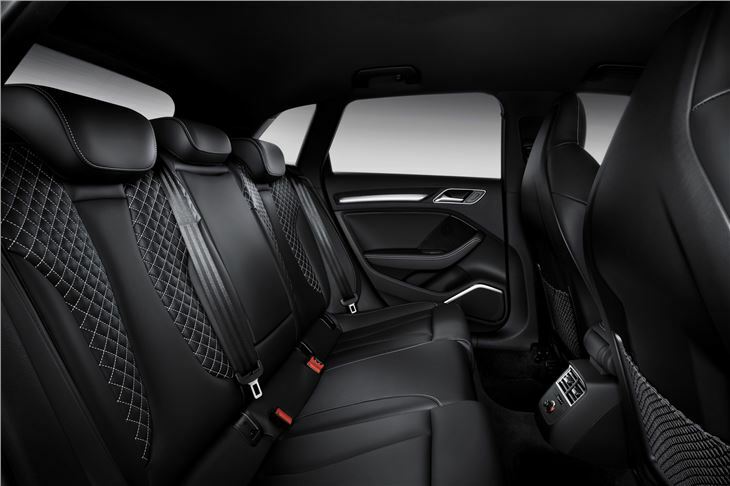 That's good news, because it's a particularly attractive cabin and much emphasis has been placed on getting the details right - much more so than many other cars in this sector. 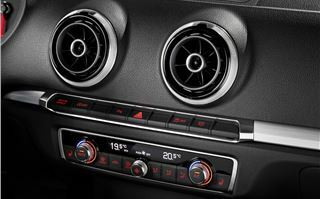 The circular aluminium-encased vents bring a touch of class and are pleasing to use, while the lack of a handbrake has freed-up space for a more logical and cleaner-looking consle. Buttons are exactly where you'd expect them to be and are easily accessible on the move. 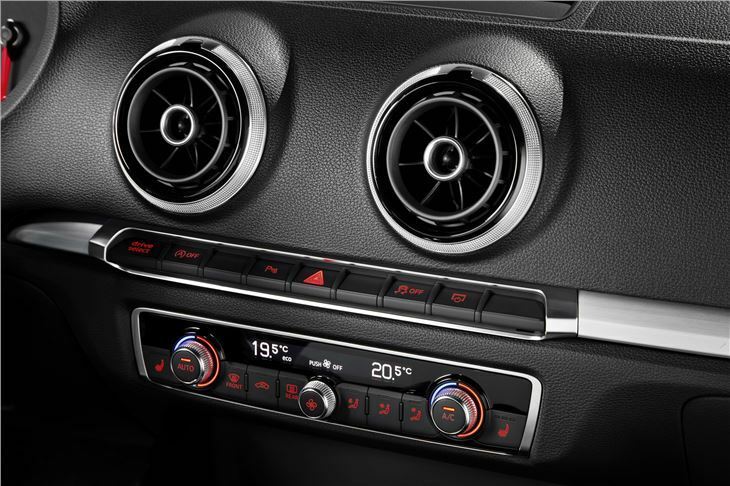 The MMI 'infotainment' system gets ever-more elaborate. You can now use the car as a wireless hotspot, check Twitter and Facebook, integrate Google maps and send voice-controlled SMS texts on the move. 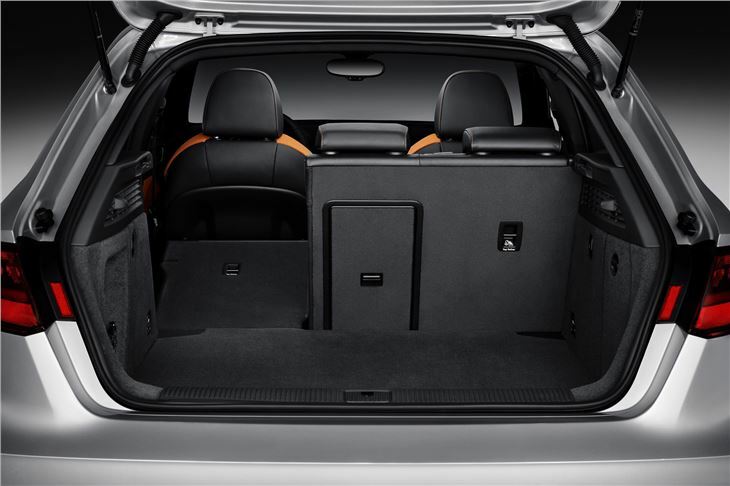 Don't worry if this all sounds overkill for you – it can be pared right back to basics like music, sat nav and car functions. To be honest, I'm not sure who will need to use things like Twitter and Facebook on the move, but it's there if you want it. 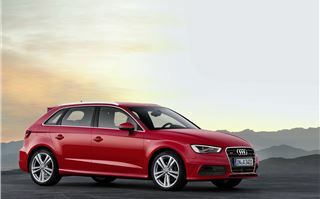 It's a comfortable car to drive, too, with a highly-adjustable driving position and good forward visibillity. Under the bonnet are some cracking engines, though it's a shame that some of the best ones – including the 1.2-litre TSI petrol and 1.4-litre 'cylinder-on-demand' - won't been seen in the UK until the back-end of next year. Increased use of aluminium and high tensile steel over its predecessor means that weight has been brought down which has a knock-on effect on fuel economy and CO2 emissions - both been improved considerably. The engine that most people will go for is the 2.0-litre TDI with 150PS. It's a pleasing engine, that pulls well from low revs, has an impressive surge of power when the turbo kicks-in and is well suited to motorway cruising. 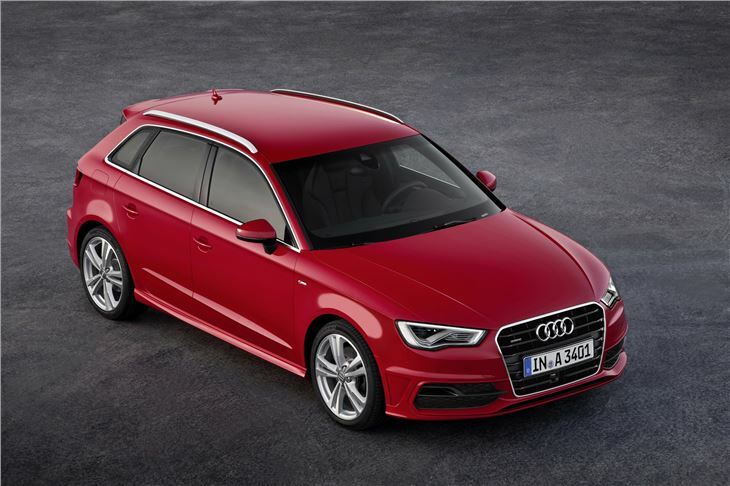 If you're looking for low CO2, the smaller 1.6-litre TDI offers 99g/km and tax savings. But the petrol engines will make a better all-round value proposition for most private buyers, with a choice of 1.4 and 1.8 TFSI engines available from the outset. 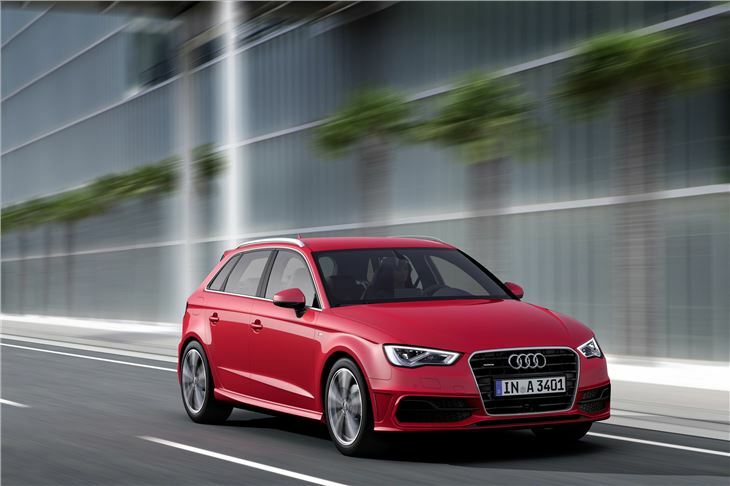 The turbocharged 1.4 TFSI makes a great case for itself. Peppy, willing and more powerful on the road than its 122PS power output suggests. All the power comes from low down, which means that you can make fast progress without working the engine too much. Buyers weighing up whether to go three or five-door with this engine should consider its emissions, which are a shade higher for the five door. 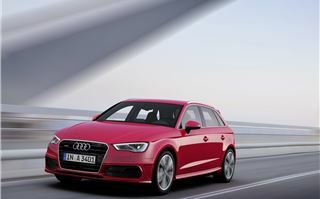 The three-door is in Road Tax Band C (currently £30 per year), while the five-door Sportback is 123g/km and therefore in Band D (£100 for 2012/12) . 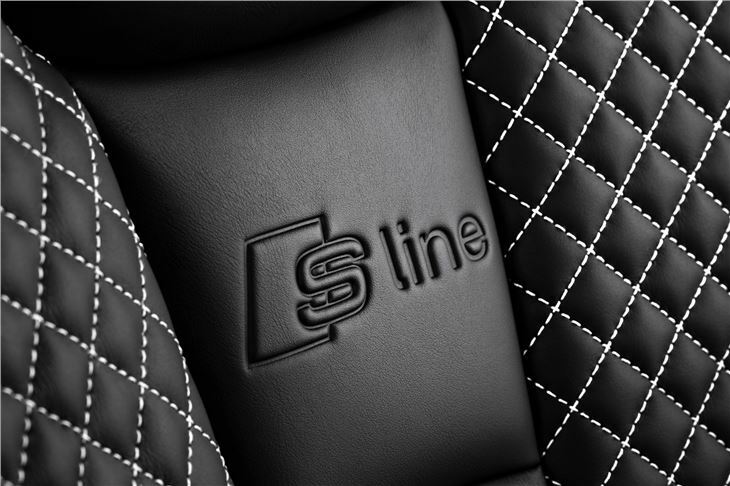 The 180PS 1.8-litre TSI offers a bit more poke for those who need it, while if you want performance you'll have to wait for the S3 Sportback quattro, which is slated to go on sale in autumn 2013. 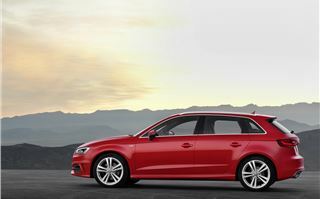 The weight saving also makes itself known out on the road, where the ride and handling has been vastly improved over the old Sportback. The body is stiffer, the ride has been transformed and the steering is much more accurate. Most of all it feels agile, responsive and is as happy tackling a series of challenging bends as it is crawling through town. 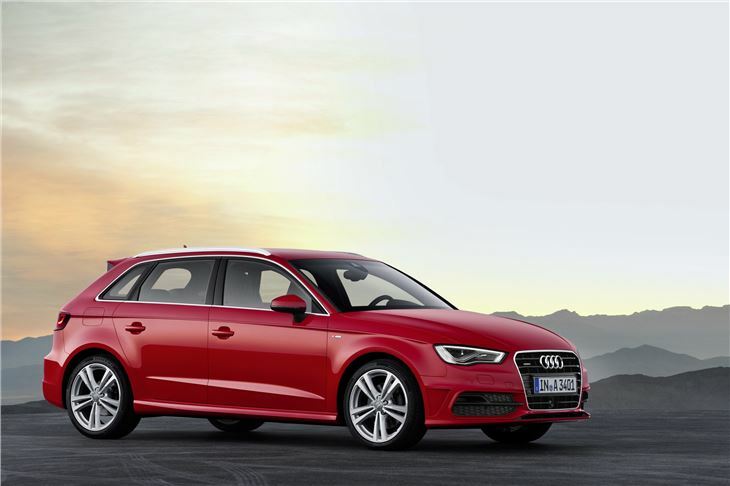 The Sportback makes a good case for itself as car for small families and couples looking for a hatch that's a cut above the rest. 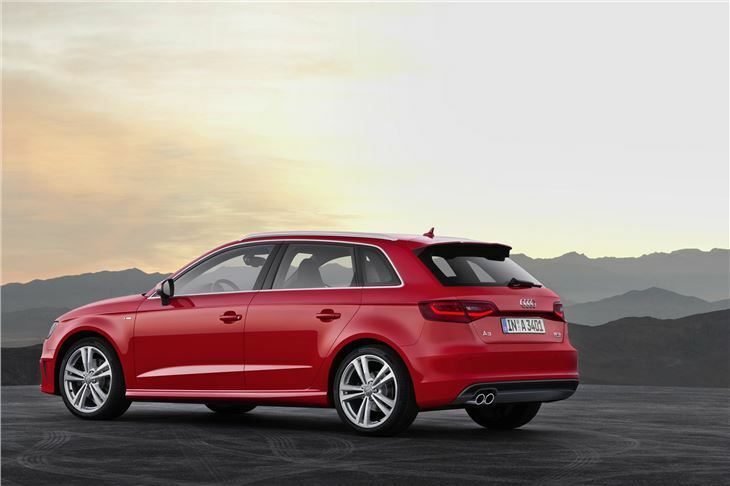 It's on sale from March 2013 and costs £620 more than the equivilent three-door.